With a name that means ‘to finish eating every last bit of your food’ in Japanese, this homegrown ramen-ya has quite a lot to live up to. 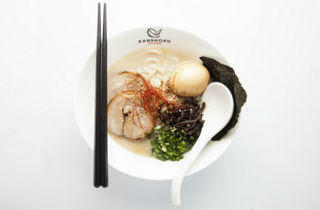 Kanshoku boils its broth for over seven hours with no MSG, flavour enhancers or preservatives. 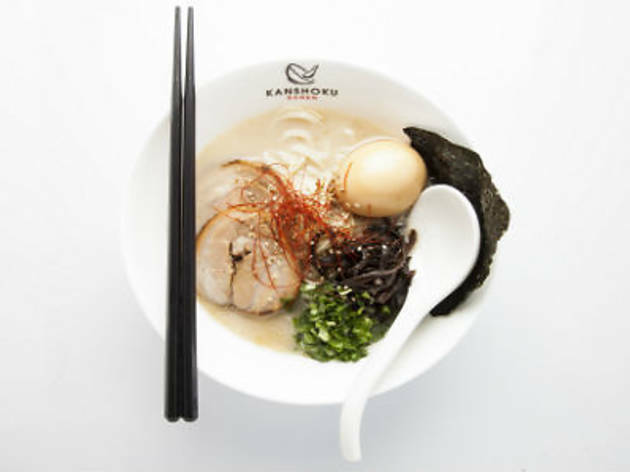 It specialises in Hakata-style ramen, known for its milky pork bone broth and thin, straight and firm noodles, and is served up here in three ways: Kanshoku style with tonkotsu ($13.90), spicy tonkotsu ($14.90) and shoyu ramen ($13.90). The simply decorated shop also serves up rice bowls like the charshu charhan ($10.90), charshu donburi ($13.90) and meat and vegetarian bentos ($12.90-$13.90).